In addition to these climatic challenges, Siberian society is in shambles. Inflation is staggering. Although the Russian economy has been buoyed by the production and development of gas and oil, little of this money has filtered down to the populace east of the Urals. There is a huge divide between rich and poor. Unemployment, averaging 25 percent, is even greater in some rural towns and cities. It is believed that between 30 and 40 million Russians live below the poverty line ($30 a month). Disease is an additional problem, with tuberculosis rearing its ugly head due to improper nutrition in many of the poorer communities. 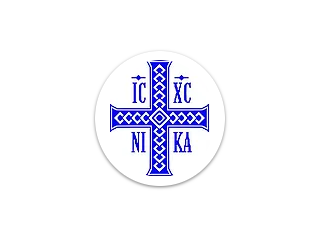 The Siberian Lutheran Mission Society (SLMS) was formed in 2002 to provide monthly support for the congregations of the Siberian Evangelical Lutheran Church (SELC) which has been in full altar and pulpit fellowship with The Lutheran Church-Missouri Synod (LC-MS) since 2010. Because of the needs identified above, the SLMS has committed to sending a minimum of $10,000 per month to assist with regular expenses such as rent, gas, and heat as well as donations of laptop computers, the purchase of church buildings and used cars so their pastors may travel to outlying congregations and aging congregants. During this solemn season of Lent, please consider a special donation to the SLMS to help our Siberian brothers and sisters continue their mission endeavors in a land fraught with the teachings of paganism, Shamanism, and Buddhism and to strengthen their existing congregations. You or your congregation can adopt an SELC congregation, pastor, or seminary student, or you may simply donate to the SLMS general fund and let SELC Bishop Vsevolod Lytkin determine where the funds are needed the most. Either way, your gift will be used to help the pastors and people of the Siberian Evangelical Lutheran Church who are in great need. The SELC seminary in Novosibirsk is also in need of support. The SLMS has established an endowment fund to provide ongoing support to the daily operations of the seminary. You may also donate online using the button below. Thank you for your prayers and financial support of the mission in Siberia.